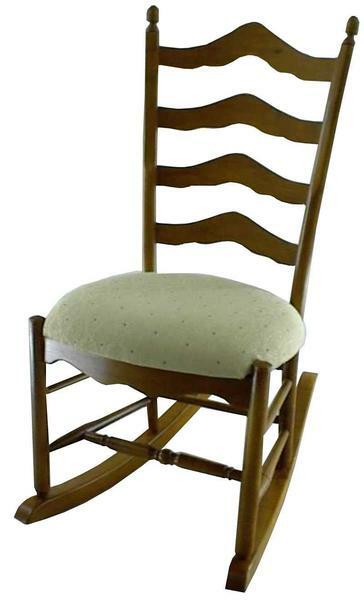 Charming and attractive, our Amish Ladderback Shaker Rocker, with its custom made ladderback pattern and your choice of either a wood or fabric seat makes a cozy addition to your collection of fine Amish furniture. A place to look forward to after a long day, the Ladderback Shaker Rocker supports the beloved Shaker style and provides a basic design that incorporates elegance and functionality coupled with durability. Dimensions: Width: 19" Depth: 18" Height: 41"
In your reading nook-get comfortable with your favorite book! Enhance a nook or corner with your cozy rocker. Perfect for the nursery. Rock and hum your little one to sleep. Your den. Enjoy a fine cigar as you rock and relax. Near the fireplace. Great to enjoy the smooth rocking motion in comfort and warmth after a long day. In the family or living room. Rocking chairs can complement either a traditional or contemporary decor. Consider our Amish Comb Back Child's Rocker for little ones to enjoy!